Land Rover will have no trouble selling the new Range Rover Velar. With a price that starts at just under $51,000, and with styling that mimics the larger and more expensive Range Rover and Range Rover Sport, the Velar may prove itself to be the company’s most popular model. 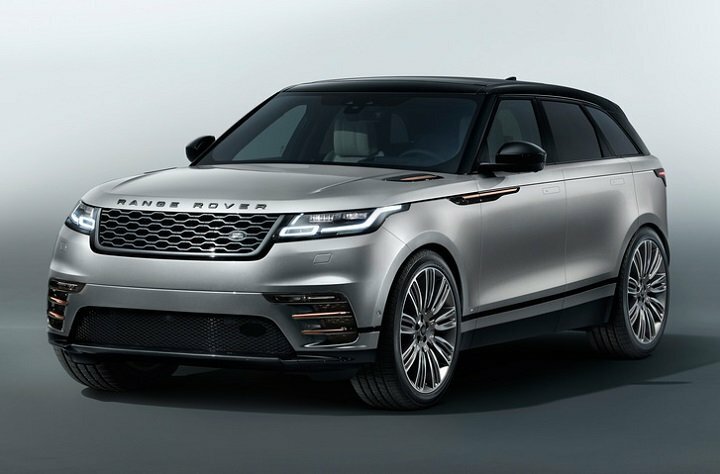 Based on the same platform and powertrains as the Jaguar F-Pace, the Range Rover Velar receives a more upscale design and materials in conjunction with greater off-roading capabilities. 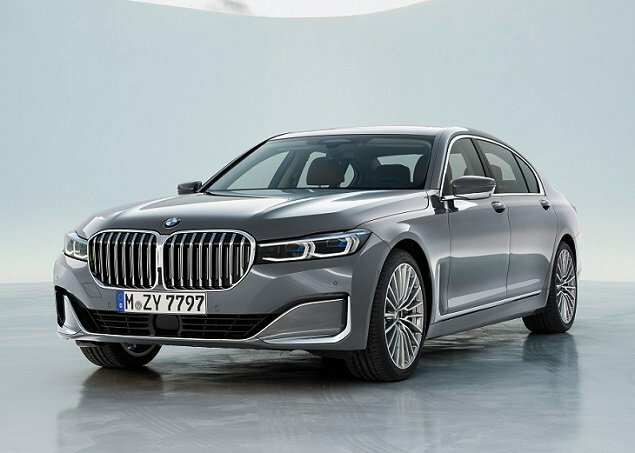 Standard, R-Dynamic, and First Edition trim levels are available, with a choice between a turbocharged 4-cylinder (P250), a turbo-diesel 4-cylinder (D180), and a supercharged V6 (P380). For this review, J.D. Power evaluated a Range Rover Velar R-Dynamic SE P250 equipped with extra cost paint, a Black Package, 22-inch wheels, upgraded leather and seating, a Climate Package, a heated and power adjustable steering wheel, a heated windshield, ambient cabin lighting, satellite radio, a head-up display, a surround-view camera, parking assist technology, and a Drive Pro Package. The as-tested price came to $76,850, including the $995 destination charge. Before we discuss the results of our evaluation of the Range Rover Velar, it is helpful to understand who typically buys Compact Premium SUVs, and what they like most and least about their vehicles. The owner base for this type of vehicle is 56% male and 44% female. Their median age is 57, and they make a median annual household income of $157,767. J.D. Power data says that 38% of them identify as Performance Buyers. Owners of this type of vehicle most commonly agree that quality of workmanship, reliability, and responsive handling and performance are important to them. They most commonly disagree that a vehicle is just a way of getting from place to place, that they prefer to buy a vehicle from a domestic company, and that their first consideration when choosing a vehicle is miles per gallon. Owners report that their favorite things about Compact Premium SUVs are (in descending order) the exterior styling, driving dynamics, engine/transmission, seats, and interior design. Owners indicate that their least favorite things about this type of vehicle are (in descending order) the visibility and safety, climate control system, storage and space, infotainment system, and fuel economy. In the sections that follow, our expert provides his own perceptions about how the Land Rover Range Rover Velar measures up in each of the 10 categories that comprise the 2017 APEAL Study. If styling is why people choose a luxury SUV, then the Range Rover Velar is going to wind up on lots of shopping lists. Smooth and sleek, tailored and tapered, the Velar looks more expensive than it is. Especially when fitted with the larger sets of wheels that are available. Modern and architectural, the interior delivers a high-tech, minimalistic ambiance that is initially appealing. Upgrade the cabin with nicer leather, veneers, and materials, and it becomes downright sumptuous except for the inexpensive looking plastics on the lower portions of the cabin. Land Rover even addresses environmental concerns with an available textile and simulated suede upholstery. The test vehicle included premium leather and 20-way power adjustable front seats with heating, ventilation, and massage. Understandably, then, they proved quite comfortable. Too bad Land Rover forgot to add padding on the sides of the center console where legs may rest. Rear seat comfort is snug for adults, and the hard panels on the front seat backs don’t help. Available 4-zone automatic climate control goes a long way toward forgiving this, however. Land Rover uses digital instrumentation and controls within the Velar, a choice that is certain to cause consternation in the SUV’s owners. To access the climate control system, the driver or front passenger first must reference the lower of two touchscreen displays on the dashboard. “Climate” is one of four main menu items. Choose it, and virtual climate controls appear, offering touch-sensing buttons and simultaneously transforming the two physical knobs on the panel into temperature and fan speed adjusters. A separate menu choice is necessary to access the seat heaters, seat ventilators, and seat massage functions. While this solution looks high-tech and is easy enough to use when you can pay attention to it, the reality is that when the Velar is underway the approach is distracting and requires more attention away from the road than is prudent. Above the climate controls, a separate infotainment touchscreen display provides access to myriad technological features. Virtual buttons line the bottom of the display, providing access to deeper functionality that is sometimes difficult to discover and recall. This screen tilts to help reduce, if not eliminate, sun glare and reflections. A stereo volume knob is located far down on the Velar’s center control panel, below the climate controls. The infotainment system is occasionally slow to react to input, the virtual buttons are on the small side, and the steering wheel controls for the stereo proved occasionally temperamental. Taken together, Land Rover’s dual-screen infotainment and control panel approach is questionable. It looks terrific, promising a futuristic user experience. But once the Velar is underway, it proves distracting and, if you accidentally touch the wrong virtual button or menu, downright confusing. Style takes precedence over utility. The glove box and the center console storage bin are quite small, and additional practical storage spaces are few and far between. That leaves the cup holders and lower door panel bins to use for whatever you might carry with you. Behind the Velar’s rear seat, the SUV holds 34.4 cubic feet of cargo. In spite of the Velar’s tapered tail and rakish roofline, the space is configured in a useful way, accommodating full-size suitcases laid flat and leaving room for a folding stroller or duffel bags. Fold the rear seat down and maximum cargo capacity measures 70.1 cu.-ft. Thick roof pillars, a squat greenhouse, small back windows, and rear seat head restraints all conspire to limit outward visibility. Opt for the Drive Pro Package and the 360-degree surround view camera, and technology mostly resolves the problem. The Drive Pro Package installs a blind spot monitoring system, making it easier to safely change lanes. It also has adaptive cruise control, forward collision warning, automatic emergency braking, a drowsy driver monitor, lane departure warning and lane keeping assist, and both traffic follow and adaptive speed limiter systems. An available parking assist system can help a driver safely enter and exit parallel and perpendicular parking spaces. The Velar is also offered with a head-up display. The Velar P250 test vehicle had a turbocharged 2.0-liter 4-cylinder engine making 247 horsepower at 5,500 rpm and 269 lb.-ft. of torque between 1,200 rpm and 4,500 rpm. An 8-speed automatic transmission fed the power to all four of the Velar’s wheels. 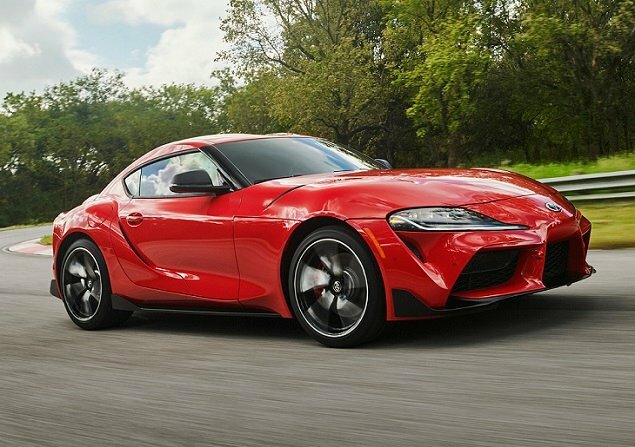 Given a curb weight that starts at more than 4,200 pounds, the turbo four would seemingly have its work cut out for it. Unexpectedly, the engine delivers agreeable acceleration, making Land Rover’s claim of 6.4 seconds to 60 mph credible. The downside is an unrefined engine note. Maximum torque kicks in at 1,200 rpm, effectively negating turbo lag. Matting the accelerator pedal from a stop, however, is less satisfying than part-throttle driving. At higher engine speeds, such as when passing slower traffic, the engine can feel a bit winded. Based on EPA fuel economy ratings, the Velar P250 is expected to get 23 mpg in combined driving. The test vehicle returned an even 19 mpg on the testing loop. This is not an uncommon result in vehicles with turbocharged 4-cylinder engines, especially when the engine’s displacement is small relative to vehicle size and weight. Still, if you expect to get the EPA numbers in a Velar P250, that’s unlikely to happen. Around town and on the highway, the Range Rover Velar P250 is agreeable enough to drive, feeling nimble and athletic is urban and suburban environments, and heavy and secure on the open road. While driving in the mountains, however, the test vehicle proved less than capable on twisty two-lane roads. The Velar might look sporty, but it doesn’t drive that way – not even with the optional 22-inch wheels. And the Dynamic driving mode doesn’t seem to help. To improve matters, Land Rover allows buyers to choose performance tires, upgraded front brakes, and an air suspension. All three of these extras would make the Velar more fun to drive, along with the more powerful supercharged V6 engine option. 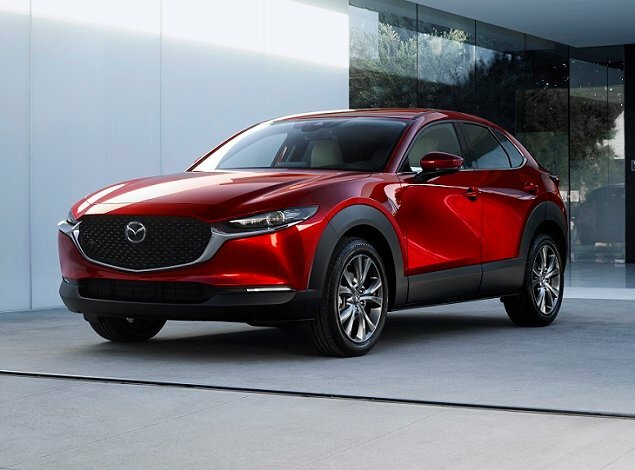 Similarly, maximum off-roading capability is an upgrade via the air suspension and the On/Off-Road Package, which adds improved traction aids designed for specific types of terrain. Without these options, the Velar’s trail talents are only slightly better than the Jaguar on which the SUV is based. Taking into consideration the things people like most about Compact Premium SUVs, the new Land Rover Range Rover Velar ought to please its owners, especially in supercharged P380 guise. In relationship to what people like least about these types of vehicles, the Velar solves nothing. In fact, given the touchscreen controls, cramped space, limited visibility, and our fuel economy result, this Range Rover could rank lower than most competitors in these areas. Good thing for Land Rover that the Velar’s styling, image, and interior look and feel are almost too irresistible to pass up.